Couple of months ago we sat down and summarized what we called The Grand Macallan Price Rally of 2016. The reason for this was quite obvious. “From December 2015 to February 2017 the value of the 100 most traded Macallan single malts increased by almost 70%!”. When we look at the latest Macallan index movements, you might understand why we now revisit this topic. From April to November 2017 the value of the 100 most traded Macallan single malt bottlings again climbed by more than 20%! So in this article we simply update our analysis from a couple of months ago. This means we compare the Macallan price devlopment on the different markets we track and point out those bottlings responsible for this index movements. To compare how the Macallan prices evolved on the different markets we track, we created two indices with each only containing the price observations from the respective auction house. We did this for the two major markets we track, ScotchWhiskyAuctions.com (SWA) and WhiskyAuction.com (WA). The resulting indices are showed below. They display the relative price movements since December 2015. We see that the price rally of 2016 was driven by both auction houses equally. What is very interesting indeed is that from May 2017 onwards the value of the 100 most traded Macallans at WA increased by 14%. In the same time, the 100 most traded Macallans at SWA climbed by a staggering 35%! So it seems like the price rally gained even more momentum at UK-based SWA. Here we want to point out some single bottles that are part of the Macallan price rally. Of course there would be many bottlings that could be named here. First off there is again the Macallan 18yo (1975). At the end of 2015 this whisky was worth around 750 Euros. One year later prices went as far as 2.500 Euros and when we last visited they settled in somewhere around 2.000 Euros. Since then the prices climbed back to 2.500 Euros both at WA and SWA. Above we have seen that the prices for Macallan bottlings especially increased at SWA. One example for this is the Macallan 13yo (1997) Cask 432 Easter Elchies Cask Selection. While in May 2017 one of these bottles was sold at SWA for 1.185 Euros prices now almost doubled. In July 1.550 Euros were paid. In August it was 1.700 Euros and in November 2017 this bottling reached a price tag of 2.100 Euros. Of course there are more Macallan bottlings which experienced a significant price increase (especially at SWA). There is, for example, the Macallan 17yo (1996) Cask 26 Easter Elchies Cask Selection. Prices climbed from 1.700 Euros in August to almost 4.500 Euros in November 2017. Another example is the Macallan Royal Marriage. In May 2017 1.900 Euros were paid at SWA for one of the 1.000 once existing bottles. In September 2017 it were 2.200 Euros and in November we reached 3.350 Euros! It looks like the Grand Macallan Price Rally has not really stopped yet, it only took a little break. It also seems like the tremendous price increases observed in 2017 are mainly caused by the bidders at SWA. We can only wonder how this rally proceeds in 2018. As announced we will soon start tracking Bourbon whiskeys too! To do so we of course need to know what to track. So we invite you to tell us the Bourbon distilleries and brands we definitely should cover! Indices help us to compare different parts of the market. 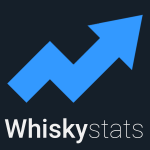 This is why we want to introduce the whiskystats distillery indices, a representation of the price evolution of the most traded bottles by distillery. It´s that time of the year where most of the days are too hot and humid to decently enjoy a glass of single malt whisky. Nevertheless, the auction platforms are active and we keep you up-to-date. This is our round-up of the June trades.